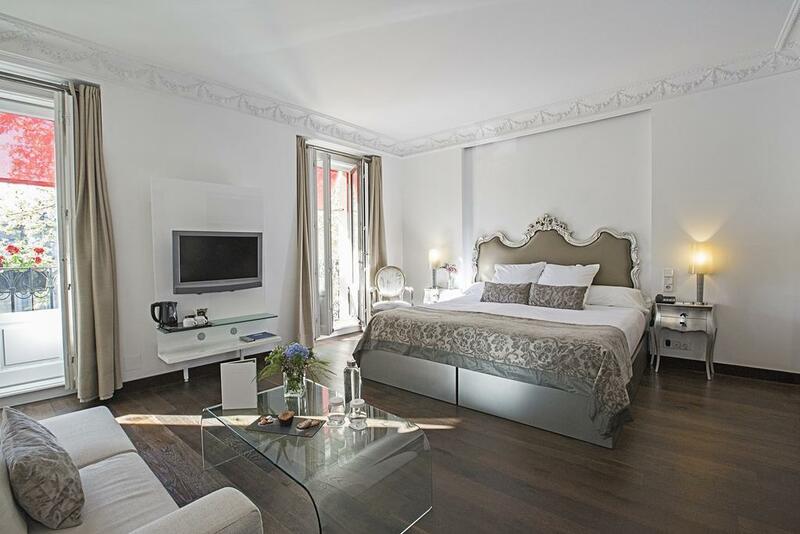 If you're searching for a top luxury hotel in Madrid, then you're searching for a complete experience: you want all the ameneties, sure, but also great style with a wow factor, and lush comfort where you can rest and relax when you're not out discovering the city. 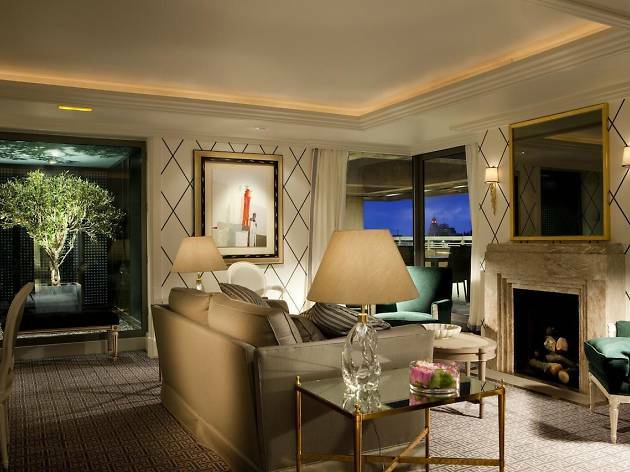 A luxury hotel should be a place where you feel welcomed and wrapped in elegance. 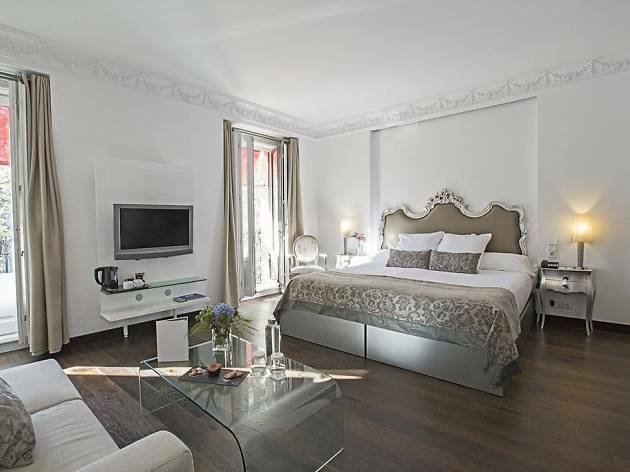 If your bank account allows you to stay in one of these accommodations (or even better still, if someone else is picking up the tab), we're betting they'll make your time in Madrid that much more special. 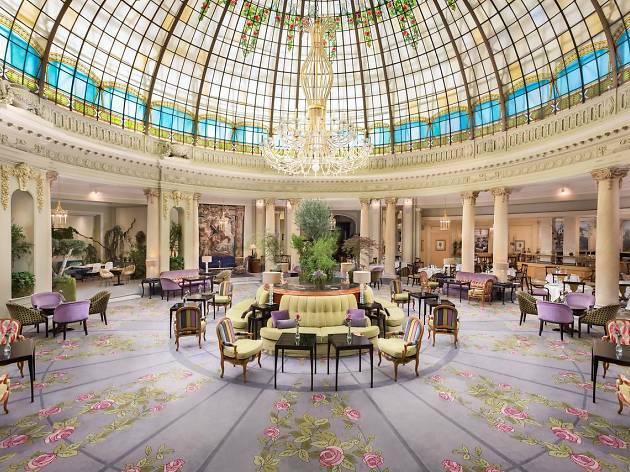 So close to the Retiro park that you're practically in it, and in the neighbourhood of the same name, this exclusive luxury hotel was built in 1910 on the orders of King Alfonso XIII. 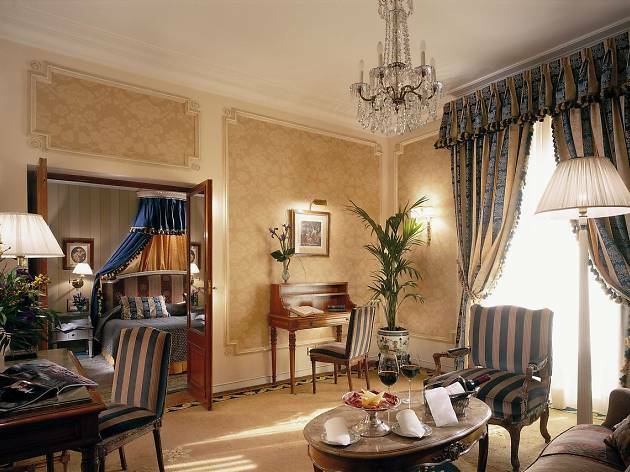 Rooms are individually decorated in classic style with rich materials and antique-style furniture, and bathrooms with marble and gold fittings. With an emphasis on quiet and relaxation throughout the hotel, you might want to just sink into it all at their luxury Bodyna Wellness Center spa. Its location makes it a handy base for visiting the Prado and Thyssen-Bornemisza museums. In the middle of the Art Triangle, formed by the Prado, the Thyssen-Bornemisza and the Reina Sofía museums, is where you'll find the Westin Palace, a landmark since King Alfonso XIII commissioned its construction to have a place to receive members of high society who visited Madrid in the early 20th century. 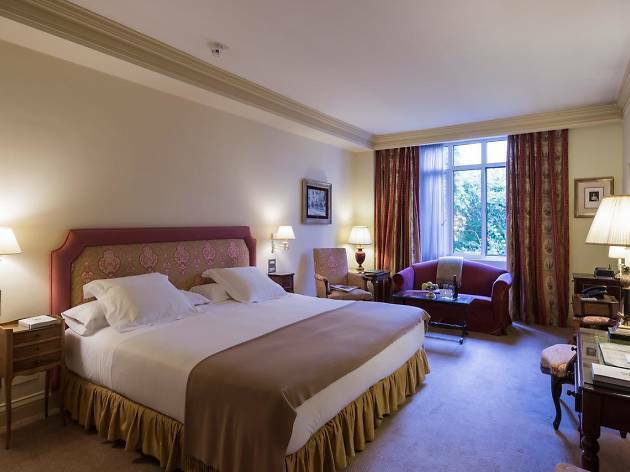 Throughout its history the hotel has been a haven for international celebrities such as Picasso, Dalí, Einstein and Madame Curie. But even if you're not an A-lister, you can live like one in the elegant and modern rooms that encompass the best of old and new with antique furniture and internet television. 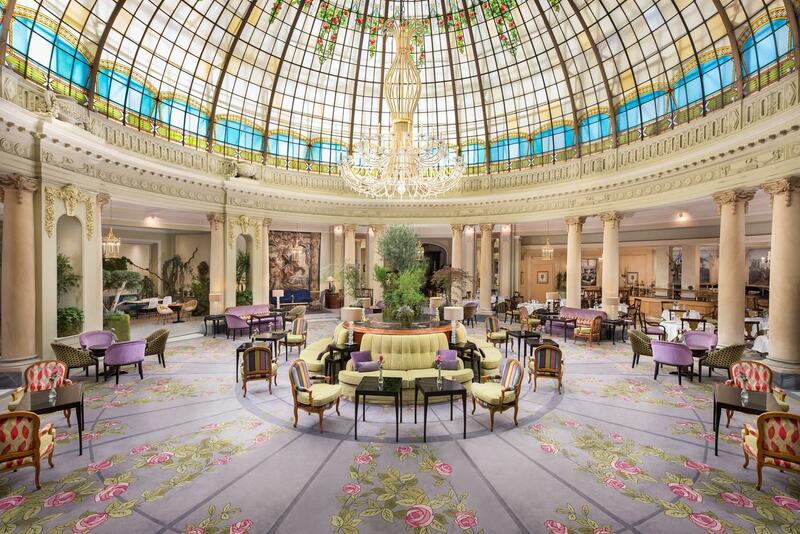 Plus you can enjoy a buffet breakfast under the famous stained-glass dome, which turned up in Hemingway's 'The Sun Also Rises', where you can also order cocktails, coffee and aperitifs later in the day. Although it's a modern, rather nondescript building from the outside, the lavishly entitled Villa Magna, a Park Hyatt Hotel, more than lives up to its reputation on the inside. The huge lobby leads to two excellent restaurants – the Restaurante Villa Magna, serving traditional Spanish cuisine with a modern twist, and Tse Yang, where you can savour classic Cantonese dishes. Lush, spacious and comfy rooms mix mod cons with antique furniture. Don't miss the elegant champagne bar, whose lunch menu is surprisingly reasonably priced, and where, along with the Lounge, you can also get cocktails and tapas. 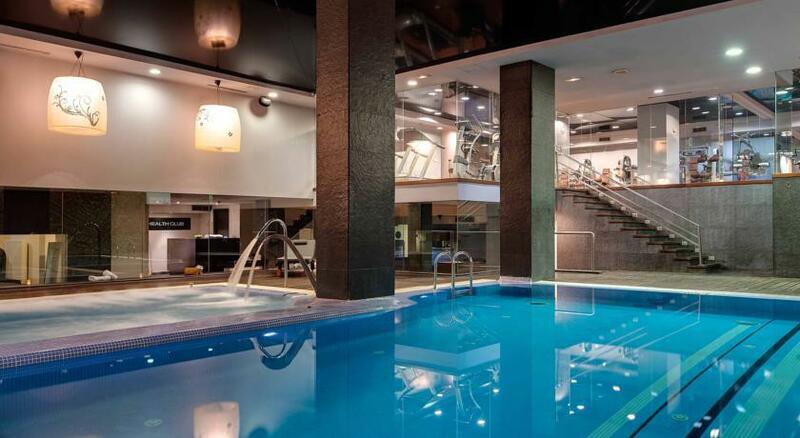 There's also a top-notch gym, if keeping fit is part of your agenda. 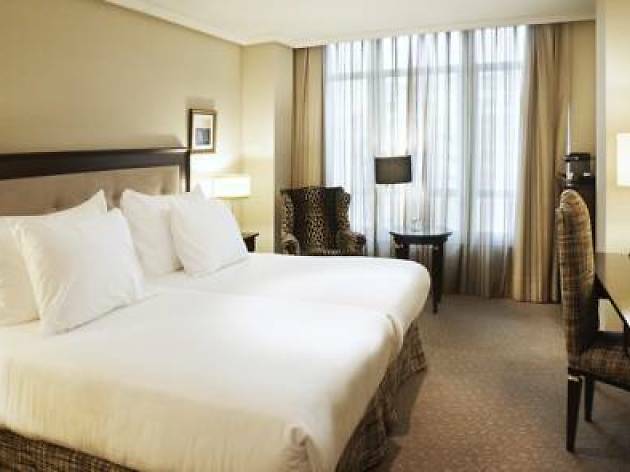 The Urban is a five-star deluxe hotel located in the heart of Madrid, within walking distance of the Spanish Parliament building. This Art Deco–style establishment, set in an avant-garde building proudly displays a permanent exhibition of art from Papua New Guinea as a gallery exhibition and throughout its rooms and shared spaces. 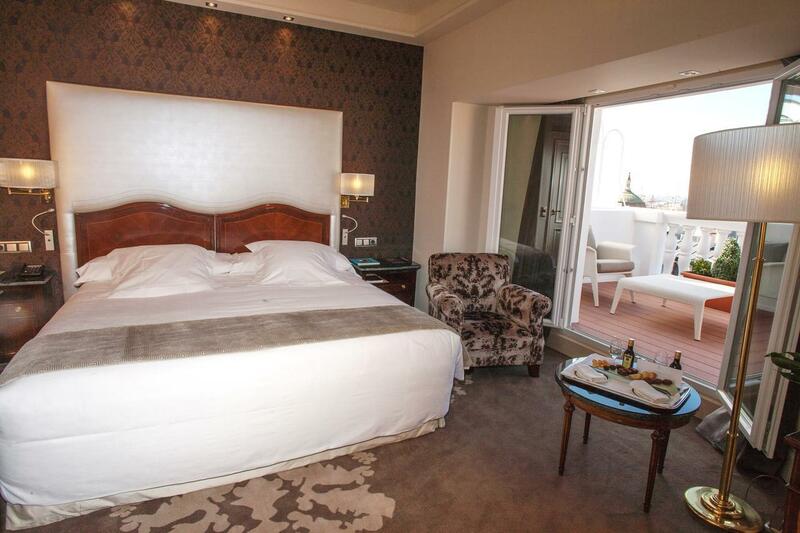 Your soundproofed room envelops you in warm lighting, and helps you relax with natural wood and stone decor. Dip into the rooftop swimming pool in summer, or heat up in the gym or steam bath in cooler months. If you're feeling flush, dine in CEBO, Aurelio Morales's Michelin-starred restaurant inside the hotel. Or for something more casual, have cocktails on the rooftop terrace or signature tapas in the gastropub. This small mansion in a tranquil residential area has been transformed into a quietly elegant five-star hotel. 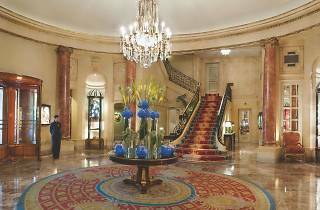 Thankfully, the hotel has held on to its 19th-century decor, not to mention its façade, carriage entrance and dramatic main stairway. 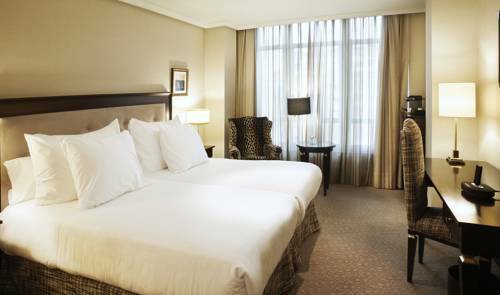 The classically decorated rooms are wonderfully quiet – once installed it's hard to believe you're in the middle of a bustling city – and one of the four suites is intimately tucked away in the attic. The stylish restaurant, which serves Mediterranean cuisine and local fare, looks on to the lovely garden patio, and guests take tea in the lobby in the afternoon. 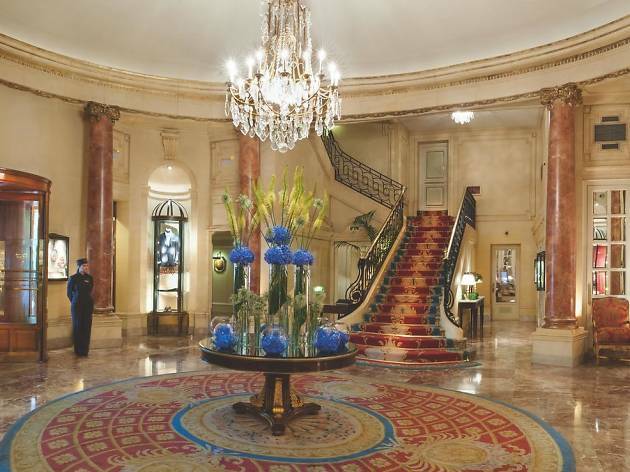 More than half a century after it opened, the Wellington is still extremely graceful, with chandeliers, marble and murals. 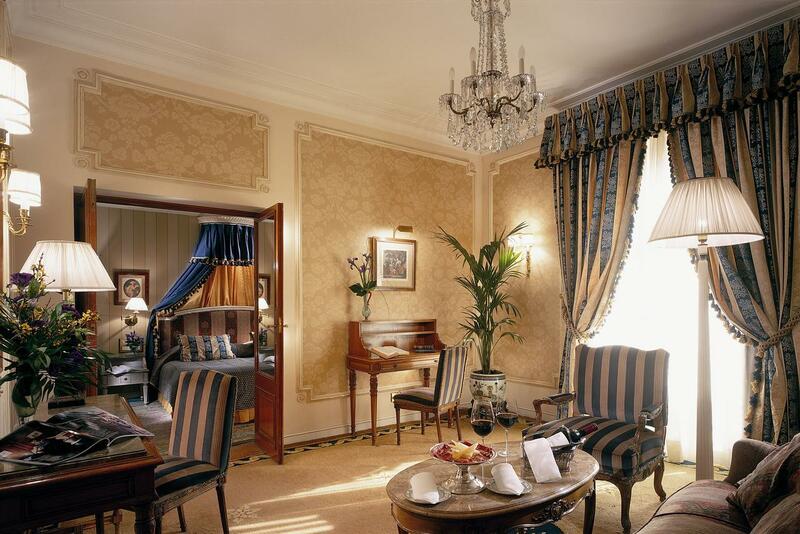 The handsome rooms vary in size and are decorated in a conservative but classic style. The hotel's main restaurant, Goizeko, serves gourmet Basque dishes in elegant surroundings, or you can opt for the popular Japanese cuisine at Kabuki. Head to the seventh floor for the private Wellington Club, and gaze at stunning city views from the terrace. Inside, the exclusive lounge features a full library, a room with unlimited snacks, and a select cigar menu. 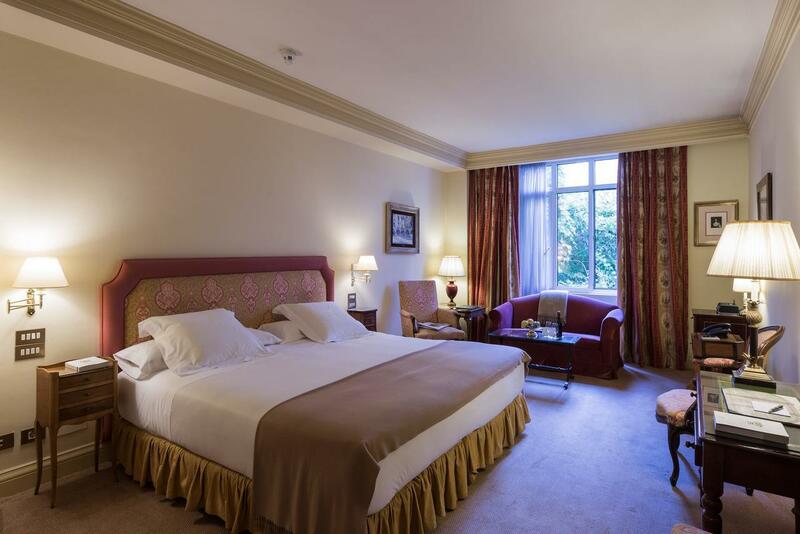 Near Paseo de la Castellana, bordering the Salamanca district, stands the Miguel Ángel hotel, with a total of 267 fully equipped, spacious guest rooms designed for a variety of wants and needs, whether you're in town for business, with the family, or on a romantic getaway (private jacuzzi, anyone?). If you want to posh it up to the next level, look into the Club Miguel Ángel option: an exclusive section of the hotel on the fifth floor that boasts 90 rooms with over a dozen additional amenities. The wellness centre isn't half bad either, with more services than you could take advantage of in a week, all set up to make you feel like you're living in the lap of luxury. The Silken Puerta América will not be to all tastes, probably least of all those of the business travellers attracted by its proximity to Barajas Airport, but is a wonderland for design buffs. 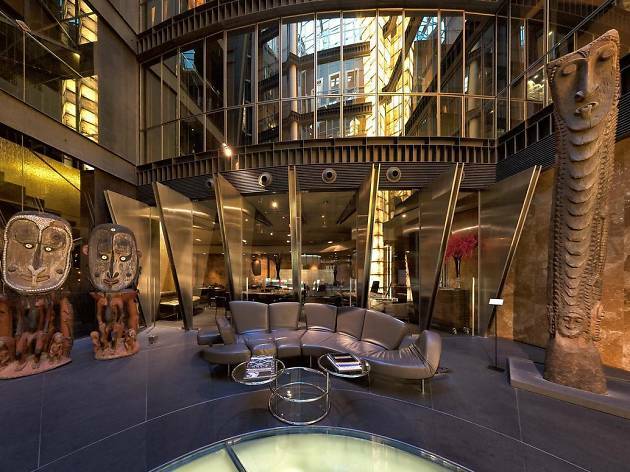 Each of its 12 floors and public spaces is designed by an all-star cast of architects, taking in Norman Foster, Richard Gluckman, Marc Jewson and Ron Arad. 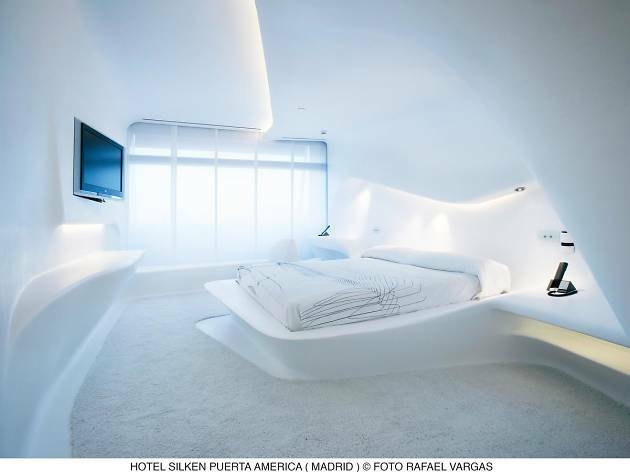 Guests can select the floor of their choice on arrival, but most popular tend to be Zaha Hadid's rooms (which appear to be sculpted from snowdrifts) or Arata Isozaki's studies in Japanese minimalism. 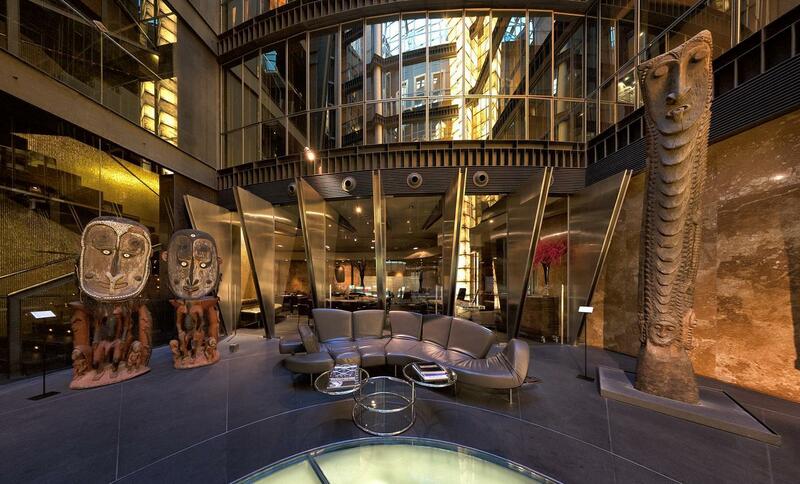 The building itself (along with the pool and gym) was designed by Jean Nouvel. 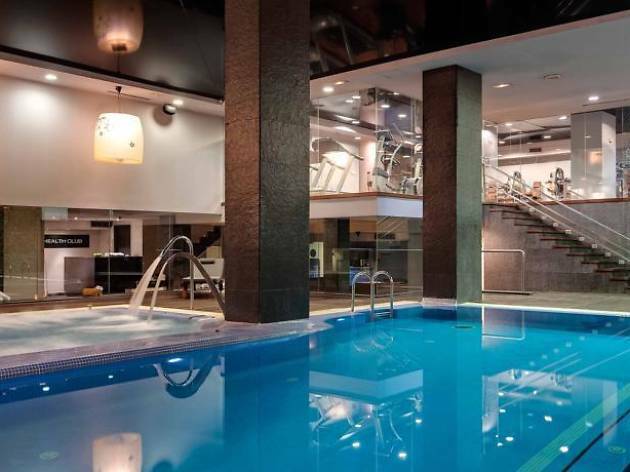 Don't miss the Turkish bath, indoor pool, and terrace bar and garden with some of the best views of Madrid. 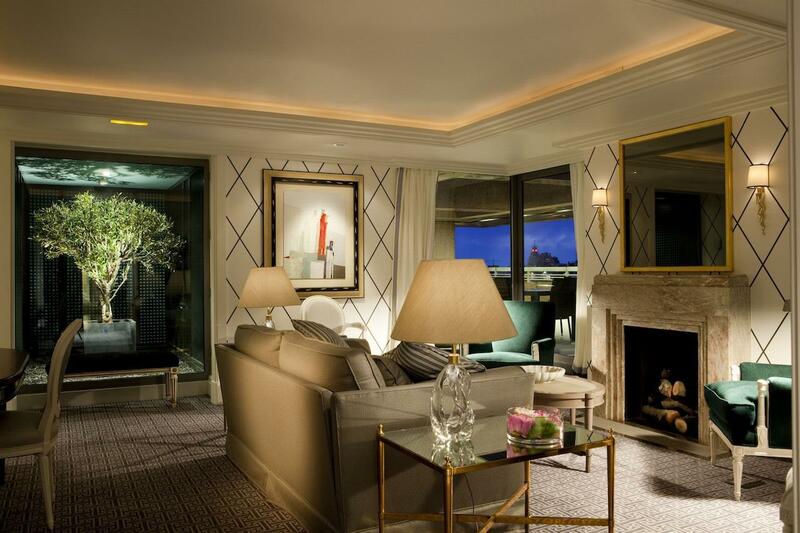 Get tucked in to first-class five-star service with an at-home feel. The Penthouse, Presidential and Royal suites all boast outdoor spaces with natural wood decks and furniture plus a Jacuzzi. Most rooms overlook Paseo de la Castellana or the Hesperia's urban garden, and offer luxe touches like a pillow menu and Bvlgari toiletries. Save up a bit of extra dosh and get a true dining experience at Santceloni, the restaurant's hotel that has garnered two Michelin stars for itself and its chef Oscar Velasco. If you haven't budgeted for such an extravagance, try the mouth-watering Japanese cuisine at the Hikari Sushi Bar. Then it's off to the Scotch Bar, where they offer some 70 different brands of spirits, with whisky as the star, but gin, rum and cocktails play their parts as well. Originally designed by architect José María de Aguilar in 1883, what is now the five-star Hospes Puerta de Alcalá prides itself on bringing out the individual character of each style of room, while all are tied together with the same colour options of what the hotel calls mauve, tangerine and pearl grey. You could opt for a room with a view of the Puerta de Alcalá or the Retiro park, or choose one of the Duplex Suites with two levels. Get into complete relaxation in the Bodyna Spa, which features exclusive Cinq Móndes products. 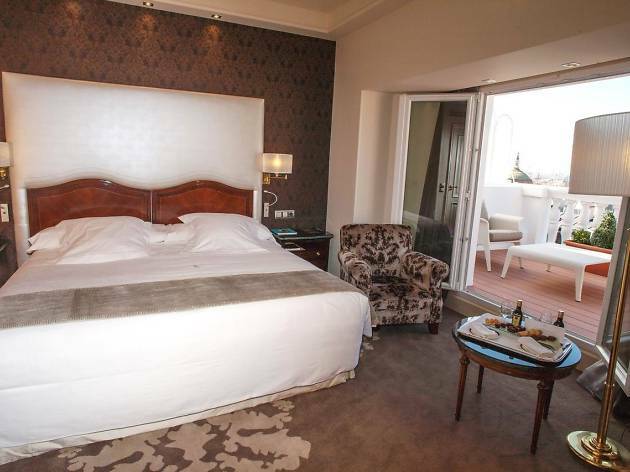 The spa includes four treatment rooms, a soundproofed relaxation room, a hammam, a gym and a small relaxation pool.